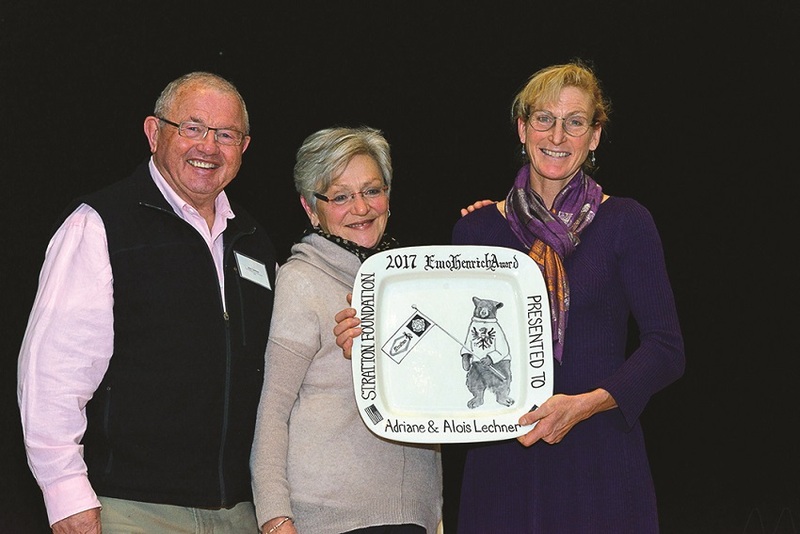 Friends, family, colleagues, and community members gathered at the Patti Kaltsas Education, Arts & Student Center at Stratton Mountain School on Saturday, December 9 to celebrate and honor the latest recipients of The Stratton Foundation’s The Emo Henrich Award. Bill Nupp accepted the 2015 award on behalf of Sky Foulkes, Lee Romano was the recipient of the 2016 award, and Adriane and Alois Lechner proudly accepted their 2017 award. 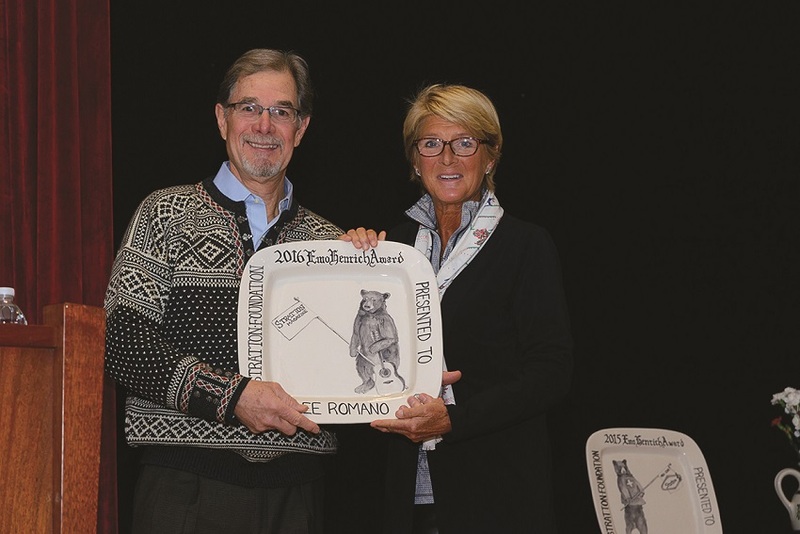 The Emo Henrich Award, begun by the Stratton Corporation in 1987, is presented annually to someone who has made a lasting impact on Stratton Mountain and is recognized for excellence in his or her profession and for exemplary community service. For more information about The Stratton Foundation and The Emo Henrich Award, 802-297-2096 or strattonfoundation.org.